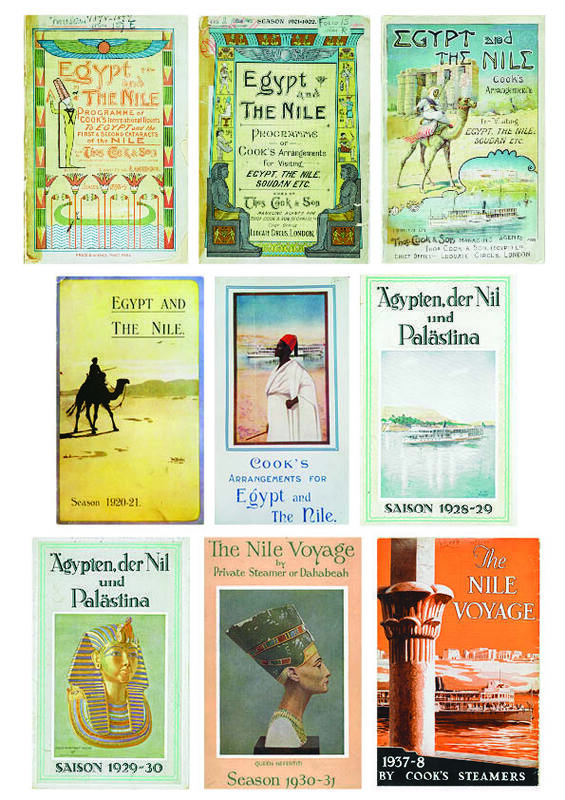 Andrew Humphreys, On the Nile in the Golden Age of Travel. Cairo: AUC Press, 2015. 184 pages, index, bibl. “The Tour up the Nile has become so popular that very soon no American out on a ‘European Tour’ will dare to return home and face his friends if he has not done the Orient.” This quote by Robert Etzensberger (a Cook & Son employee) from his 1872 Up the Nile by Steam begins a chapter of Andrew Humphreys’ book On the Nile in the Golden Age of Travel. 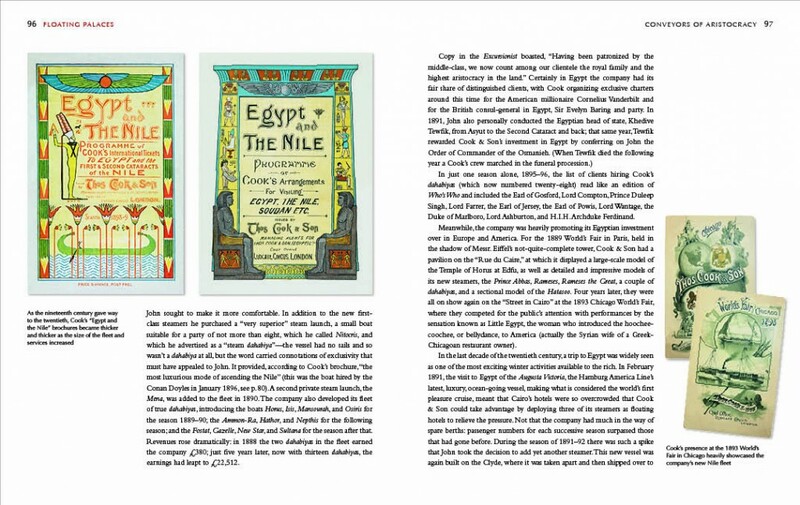 From the early 19th century to the 1970s, from dahabiyas to steamers, from Cairo to Sudan and back again, Humphreys tells the stories of tourists, authors, and armies travelling on the Nile. 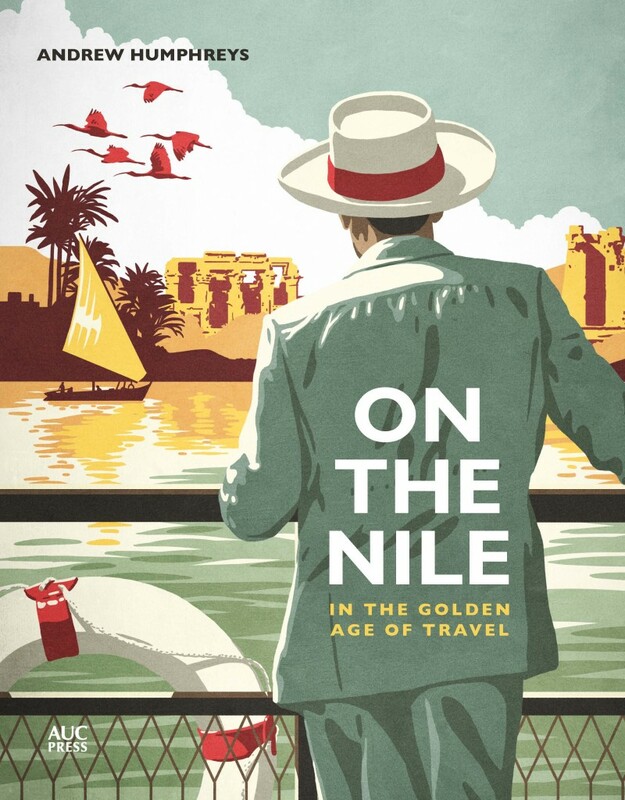 On the Nile is sort of like a sequel to Humphreys excellent first book Grand Hotels of Egypt in the Golden Age of Travel, and is every bit as visually stunning and informative. If you haven’t read Grand Hotels, you might want to. Neither book is strictly history of archaeology, but they are histories of people in Egypt and there is some coverage of archaeologists and, of course, archaeological sites. 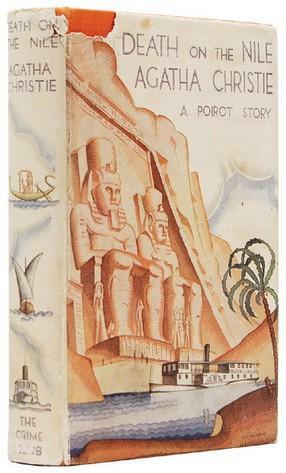 You will definitely want to see Humphreys’ website, Egypt in the Golden Age of Travel. There are more stories there as he updates pretty regularly. There are also amazing images; by the way, unless I note otherwise, all images for this post come from his site. 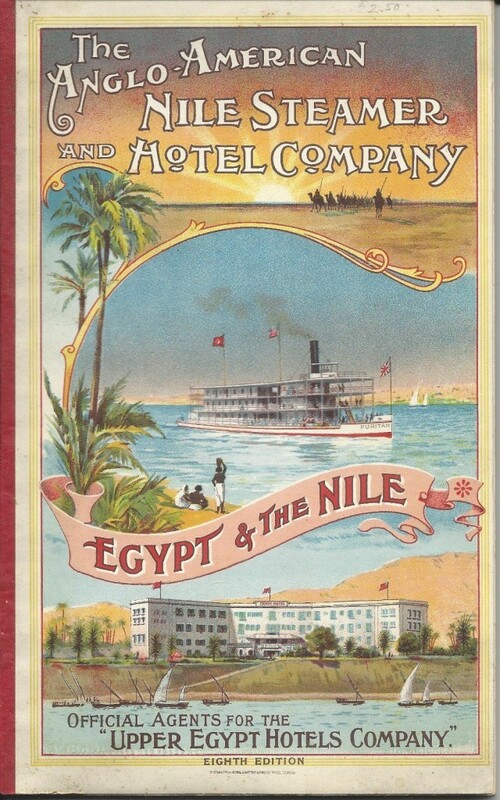 On the Nile is a history of tourism, tourist activities, and travel in Egypt. While there is a chapter about dahabiyas (houseboats), much of the book focuses on Thomas Cook & Son, their fleet of steamers, and their rise to near monopoly on the river. There are discussions of other companies, such as the Anglo-American Nile Company, the Tewfikiya Nile Navigation Company, and Express Nile Navigation Company. The book is chronological in its treatment largely of Cook & Son’s building its fleet, and Egypt and other company’s responses to it. Humphreys includes a helpful appendix of the boats that made up the fleets of Cook and Anglo-American, and of course the beautiful images that accompany almost every page. The book is mostly about Cook, because, as Humphreys notes, “History may be written by the victors, but it is also slanted toward those who maintain the best archives” (176). And he clearly spent time in the vast, well-organized Cook archives. Honestly, I’m really jealous of the time he got to spend there and hope to do something similar with archives I need to visit. Cook not only has the best archives, but also ruled the waves (?) of the Nile for almost a century. Some of the steamers were large, with up to 80 cabins meant to speed up and down the Nile for the budget traveller. Some were private steamers with berths for 8 passengers (like the Nicrotis, the one Arthur Conan Doyle sailed on in 1896). Some of Cook’s boats were houseboats, meant to be rented for a season by a private group. These usually had 4 berths and a small crew and meant for leisurely rather than quick travel. Humphreys details some of the standard itineraries. Many of these were available in Cook’s own guide books to Egypt—some lasting as long as a winter, some as quick as 7 days if you took the train down and the steamer back up. Each of these itineraries allowed for seeing the main sites, with the longer itineraries having more stops for more sites, obviously. He is able to go so far as to detail why it is good to be the first back to the boat after a long day in the sand: “the lead rider escaped the dust of the twenty riders behind, and they were first into a hot bath back on board. However…the water out of the taps was Nile water, which tended to look like liquid chocolate” (107). For me, these are the parts that really draw me into any book. Sure, I want to know how many beds there were, when they ate and what they ate for breakfast, lunch, and dinner, what people packed in their suitcases, how much the trip cost, and what souvenirs they brought back home with them (yep, that’s all in there!). But I want you to tell me someone’s personal story from their journal about worrying that with all that “fertilizing mud” on their body they worried about crops of “sugar cane, with here and there, perhaps, a stray mushroom” growing on them. If you’ve been to Egypt and swam in the river, you sometimes wonder what you’ll end up with, too. 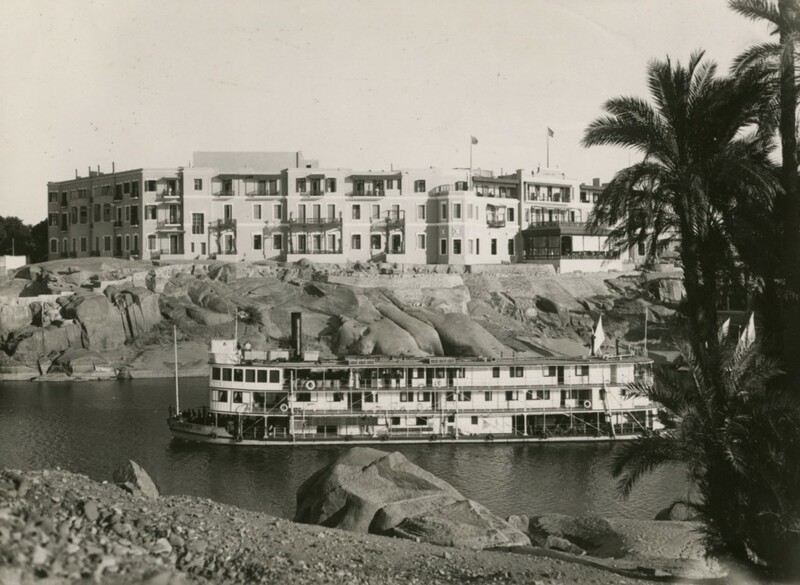 The whole point of going on a Nile cruise on a Cook steamer was not just to see and be seen socially, but to see the ancient sites of Egypt. 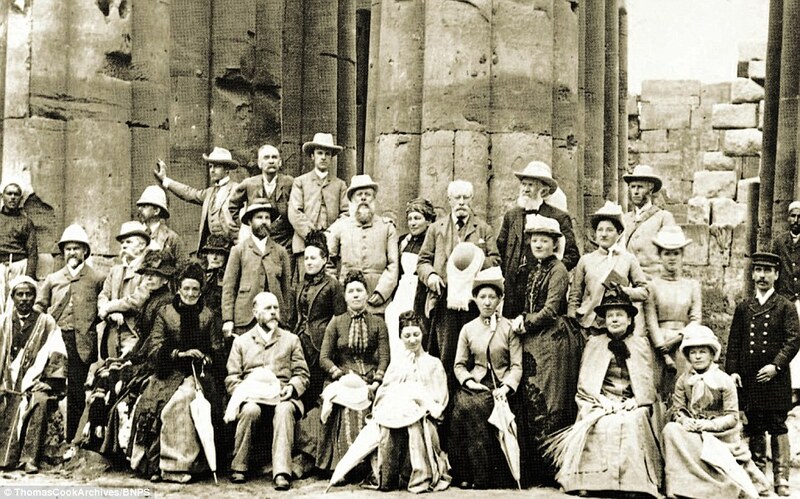 There are some mentions of sites that tourists would visit and some mentions of pioneering Egyptologists and archaeologists such as Amelia Edwards, Theodore Davis, Wallis Budge, and Max Mallowan. In the chapter “Life Aboard” Humphreys details the activities on the steamers as well as many of the sites they visited. For example, one must understand the strict protocol for interacting with other boats on the river. There were different colored flags meaning different things, and the fact that “under no circumstance, however, were Cook’s steamers to salute a steamer of a competing company unless it saluted first, then the salute had to be returned but only out of respect for the Egyptian flag” (111). When they finally arrived at Luxor, tourists were shunted to Karnak and Luxor Temples, to the Valley of the Kings, and other sites not yet totally regulated by the Antiquities Service. There is some commentary on what archaeologists thought of Cook’s tourists crowding Egypt during their working season, and it wasn’t particularly kind. For example, Agatha Christie (wife of archaeologist Max Mallowan, and archaeologist in her own right), used her “reliably snooty” tourists in Death on the Nile to remark on the “awful crowd” coming off of the steamers (145). And Humphreys points out that the future founder of the EES and the Egyptology department at UCL, Amelia Edwards “noted how at dinner at Shepheard’s it was possible to distinguish at first sight between a Cook’s tourist and an independent traveler” (55). Throughout, Humphreys also includes detail about the political and economic history of Egypt that allowed Cook & Son to flourish or flounder, given the situation. I learned a lot about political issues happening throughout Egypt while they were under the British, into the World Wars, and through nationalization after the 1952 revolution. 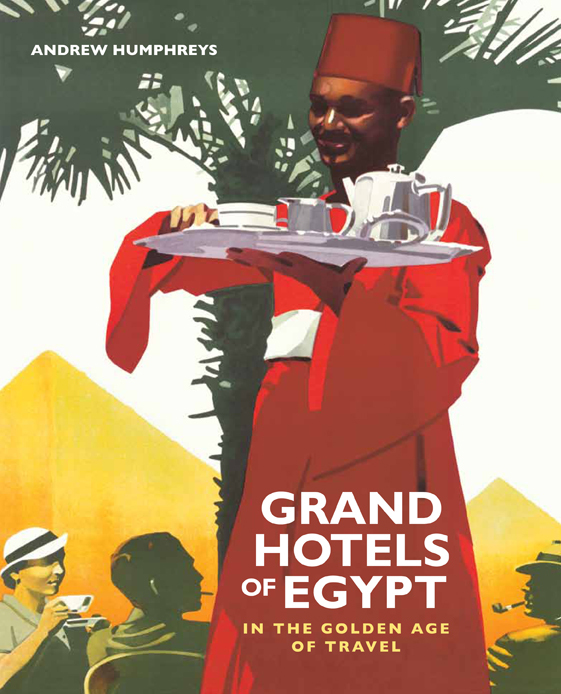 If you want an engaging history of tourism on the Nile, this is an excellent book. It was written more for the interested general reader, but as an Egyptologist I really enjoyed it and appreciate the list of selected sources and further reading. If you need it for research about this topic, it is a good first stop for you and will give you good sources to guide your future research. In the interest of full disclosure, I have written back and forth with Humphreys about this book, after I read Grand Hotels. I didn’t contribute anything of substance, but was pretty excited for the book to be published.